If you haven’t heard of the hit T.V. 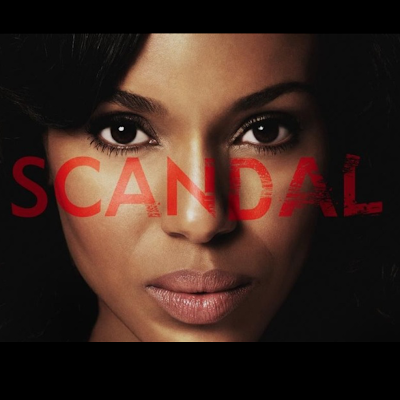 show Scandal, I’m not sure what you have been doing with your LIFE! I just hopped on board about 6 months ago. I had time to catch on the first 2 seasons before the fall premier. Kerry Washington (Olivia Pope) is phenomenal and the rest of the cast play their roles very well! 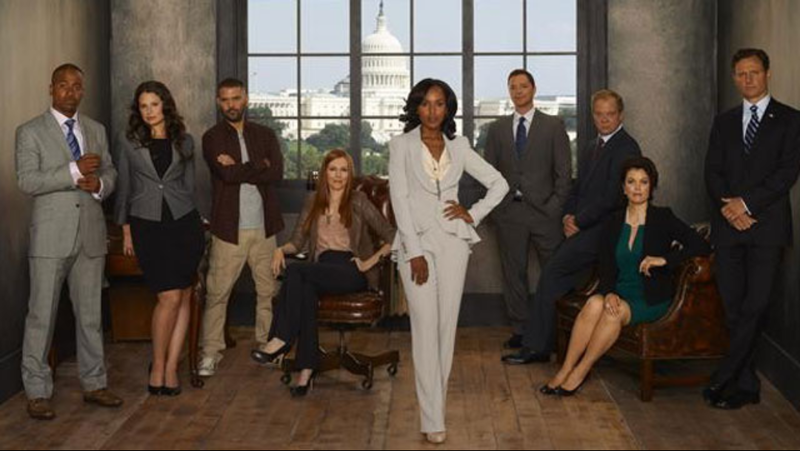 How many were excited to see Scandal back on this past week after a two week break!? I know that it was truly missed and I’m ready for Thursday for a new episode! 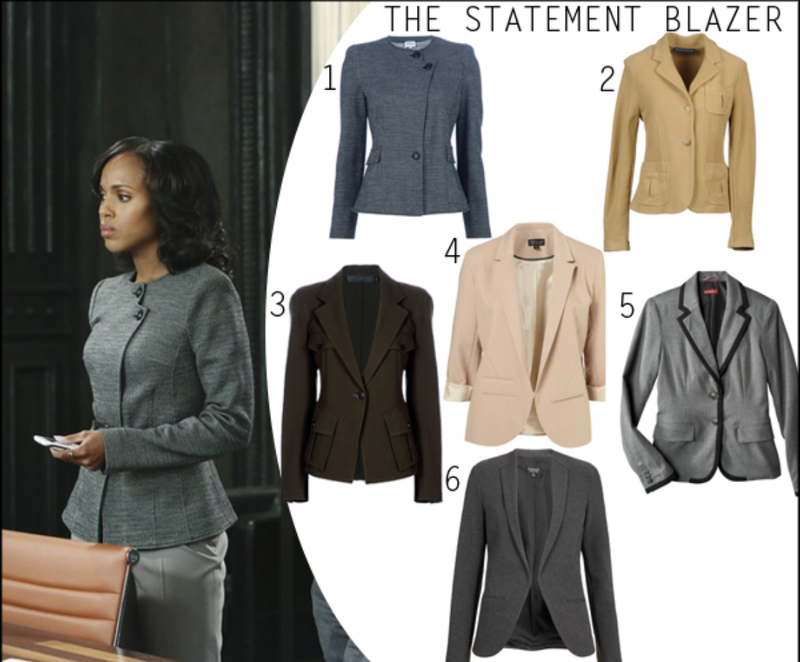 Olivia Pope has changed the look of just wearing some old pants suit, with adding pastels and showing curves. 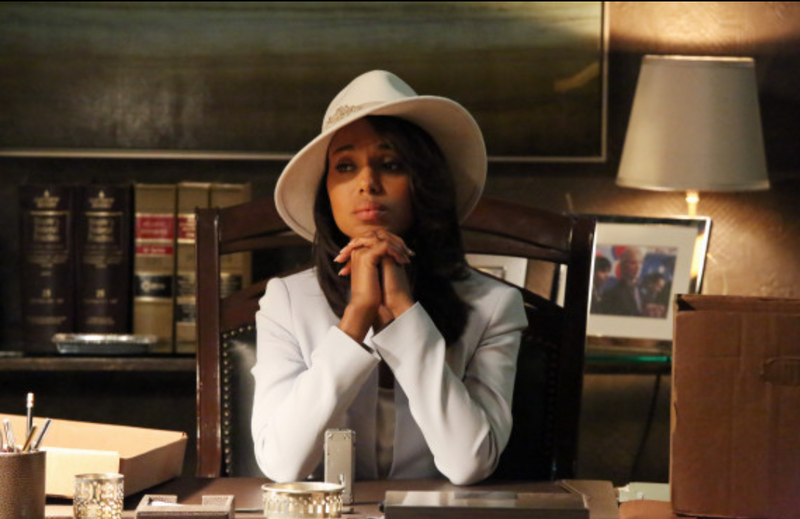 She even looks cute and comfortable sitting on her couch, sipping on her red wine waiting for Fitz to call! LOL. 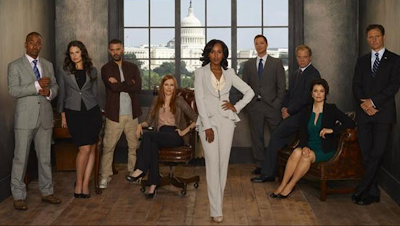 In the December 2013 issue of Lucky magazine Washington explains her role as Olivia Pope and the character’s status in the fashion world. She understands that Olivia’s wardrobe is the talk of the fashion blogs and show but she mainly wants Olivia to be noticed of her character not her clothing. 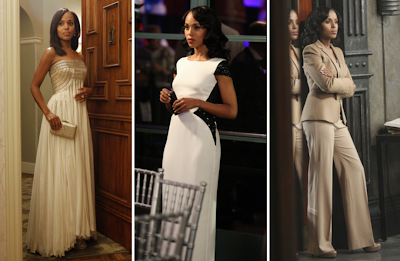 Well Kerry, don’t punish us, blame Lyn Paolo for making you look so FABULOUS!! It was so hard to choose but check out some of my favorite looks so far and some replica pieces on how to get her look! My favorite look from the show so far would be this black and (cream) white gown by American designer Rubin Singer! 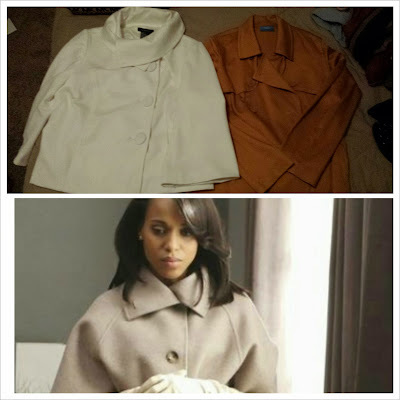 And here are my Olivia Pope inspired jackets! I haven’t worn the white one yet, I’m waiting for that perfect winter day or special event! Both jackets are from the resale store Clothes Mentor. 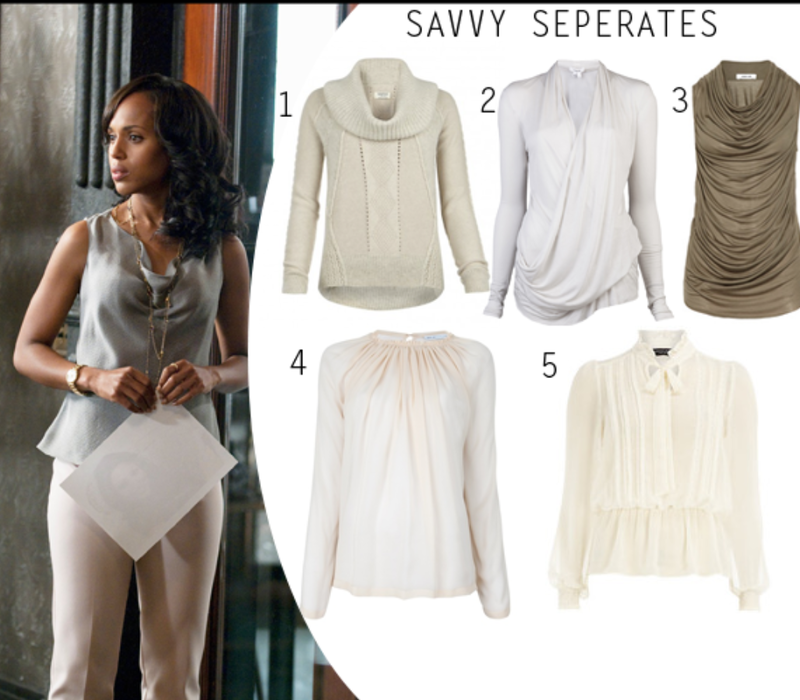 You should be able to find these looks at your favorite retailers! What have been some of your favorite looks so far?? FYI The Weekender: New Beginnings! I hope everyone had an awesome Thanksgiving break! It was so nice to have a mini vacation but now it’s time to gear up for Christmas! 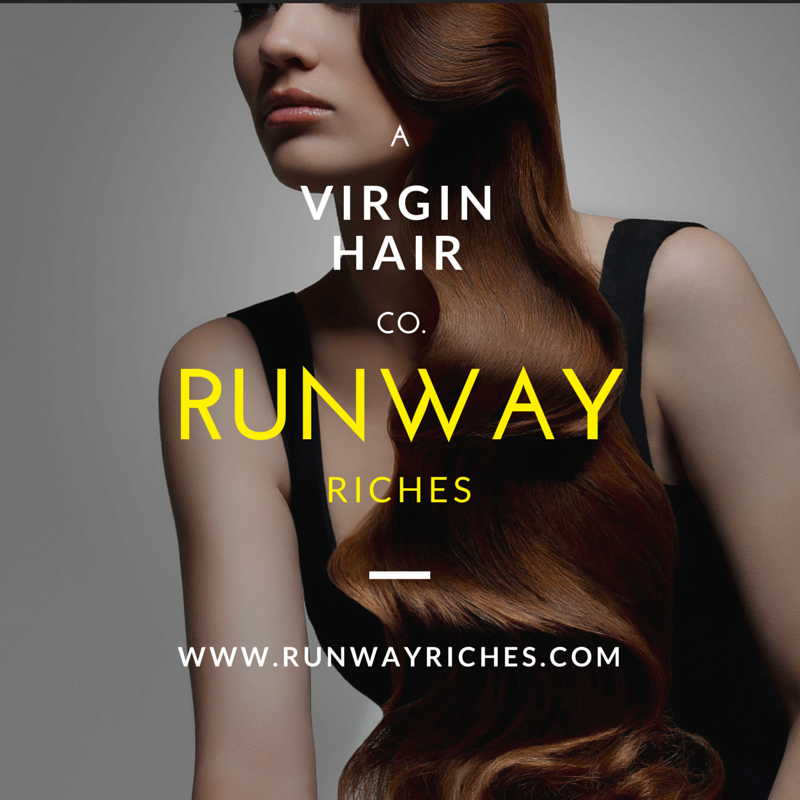 So, I’m taking another step in my fashion adventure. 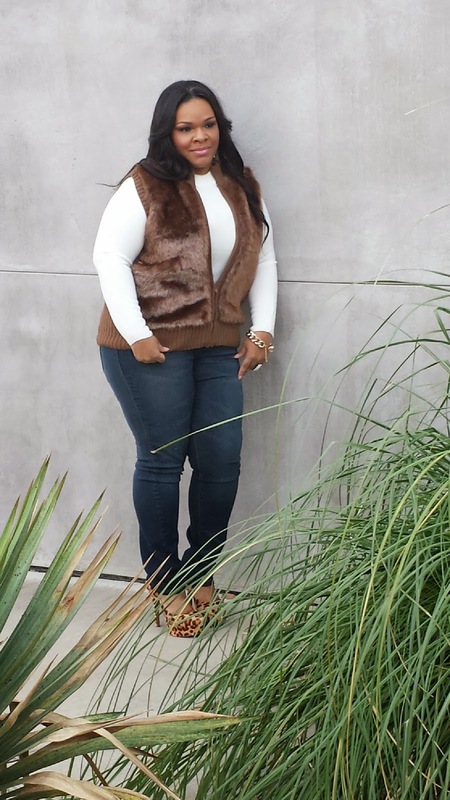 Not only will I continue blogging but I am now a wardrobe stylist! It was only right! Lol. I can admit that my feelings about transitioning to styling other people were a bit shaky. Only because there are so many bloggers turned stylist, I was thinking “what do I have to offer that’s different from the rest”? Obviously there’s a reason why I get asked continually to go shopping, put together outfits for friends and coworker, and why I have a blog! Somebody is noticing! I can, and will do this…I’m ready to take on this new journey. 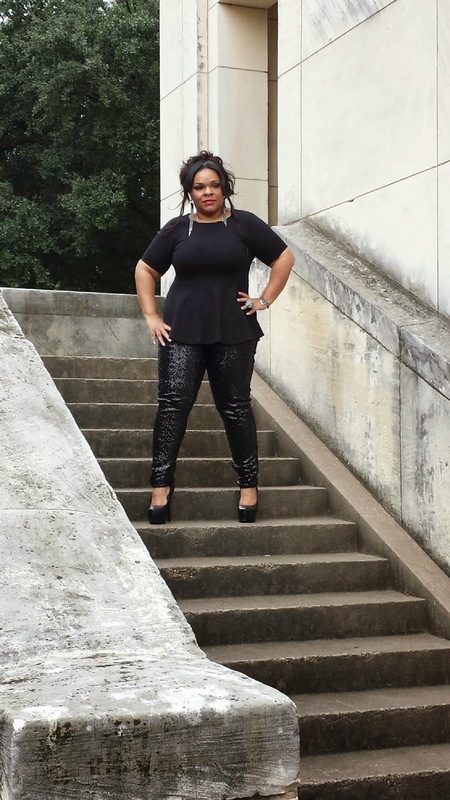 For the start of this new journey I am interning for the well known stylist Kenya Mills from Dallas, TX. What an honor! I have been following this young lady’s work for a year, who would have known that we would cross paths, or even work together! She is great at what she does and I know I’m going to learn a lot from her. It didn’t hit me until this past weekend that someone else could have taken my spot! I am beyond grateful for this opportunity! Below are a few pics of what’s been going on behind the scenes of some photo shoots. The Sunday before last I met the Cake Diva, Porsha. The girl is hilarious! 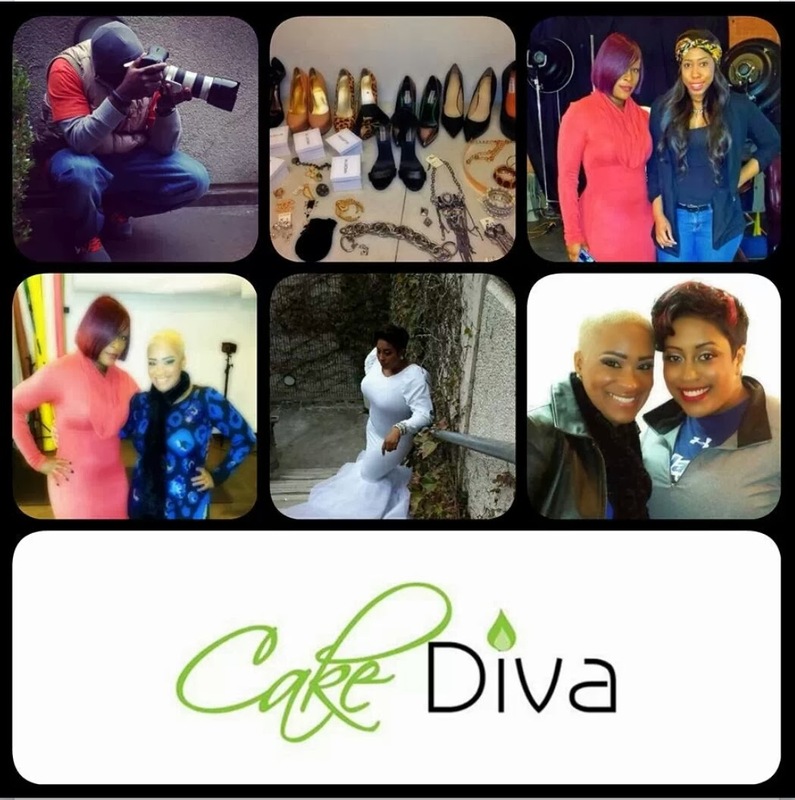 Go like her facebook page Cake Diva and also check out her other page Cake Diaries. Her pictures were so gorgeous! 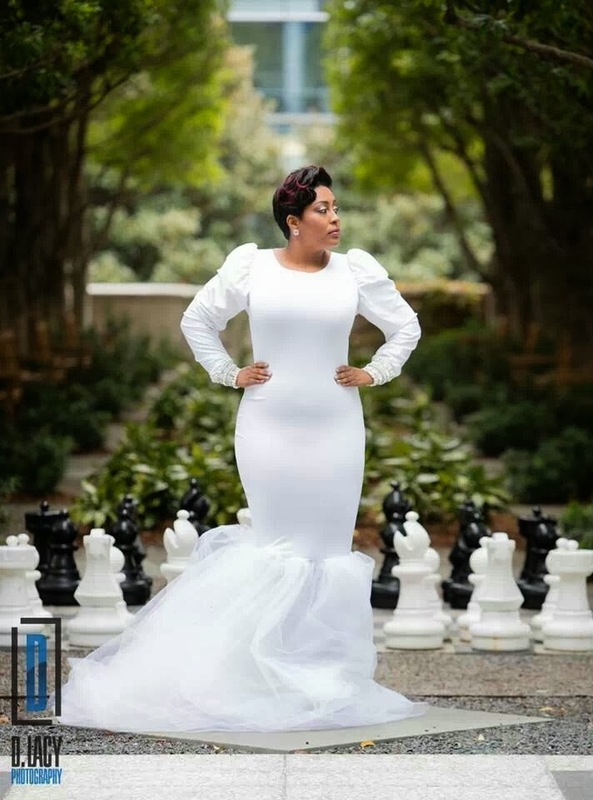 You would have that these were her real wedding pictures! At the end of the shoot I had one of her cupcake, and let’s just say that I know who’s making my b-day cake next year! 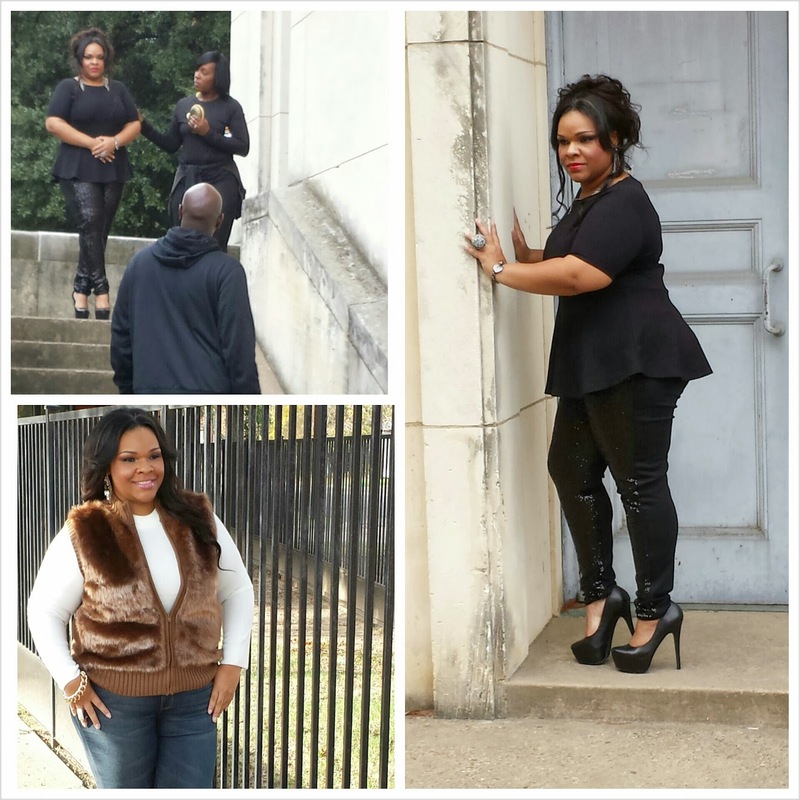 Last Sunday I assisted the photoshoot for inspirational speaker Cherise of Destiny Empowerment. What a sweetheart! You think that the unedited pictures are gorgeous; I can’t wait to see the final ones! 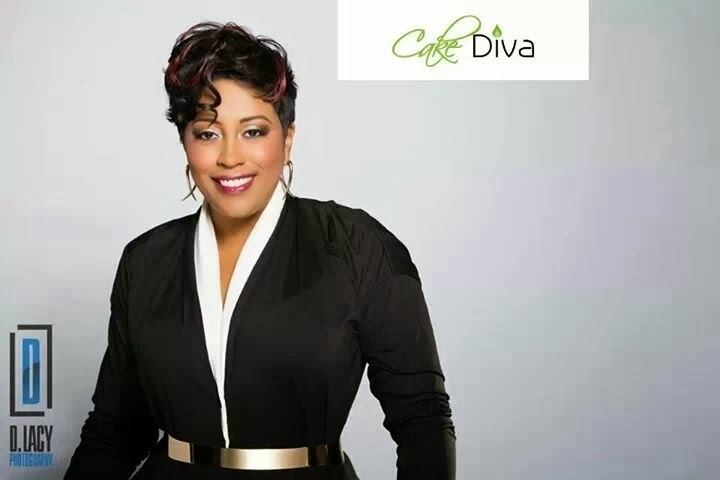 Be sure to go like her Facebook page Destiny Empowerment Hour and follow her on Instagram @destinedgreatness_0503. The photographer is D.Lacy. His work is phenomenal! I’ve been following his work this year also! When I get ready to revamp the blog next year I will definitely have him to do my picture! It’s been a blessing to come across these individuals! I can’t wait to see what’s next ! Stay tuned!